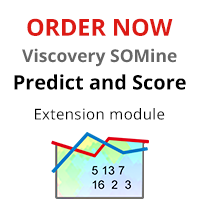 Predict and Score is an extension module of the Viscovery SOMine suite. It requires the Visual Clusters core module and can optionally be combined with other modules of the suite. 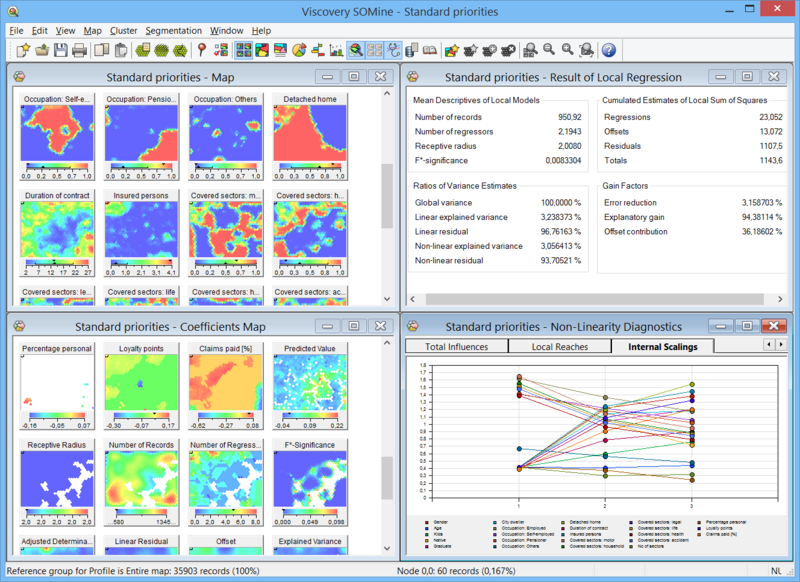 The module provides two additional workflows: the Predict workflow guides the user through the creation and validation of linear and non-linear prediction models, the Score workflow through the definition and application of scoring models to new data and through the evaluation of scoring results in comparison to control groups. The patented Local SOM Prediction technology combines the non-linear data representation of the SOM with linear regression “white-box” models, designed for explaining residual variance in the global linear model. Read more about this technology here. For a complete list of features, view the Predict and Score module data sheet.